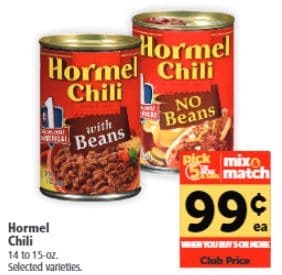 What’s your favorite way to enjoy canned chili? Whip up a chili omelet, add it to your hot dogs, or top it with some cheese and serve it with a side of crackers. 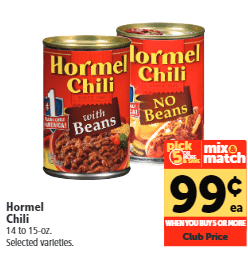 Head over and shop at Safeway through April 9th and pick up 2 cans of Hormel Chili on sale for $0.99 each when you participate in the Pick 5 (or More) & Save sale. Then use your $0.55/2 printable or insert coupon located in the March 3rd SmartSource. After the coupon doubles to $1.00, you’ll take home 2 cans for $0.49 each. 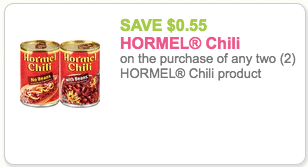 That is a savings of 78% after the deal! If you enjoy giving, this is a great item to add to your donation station. It’s loaded with protein. 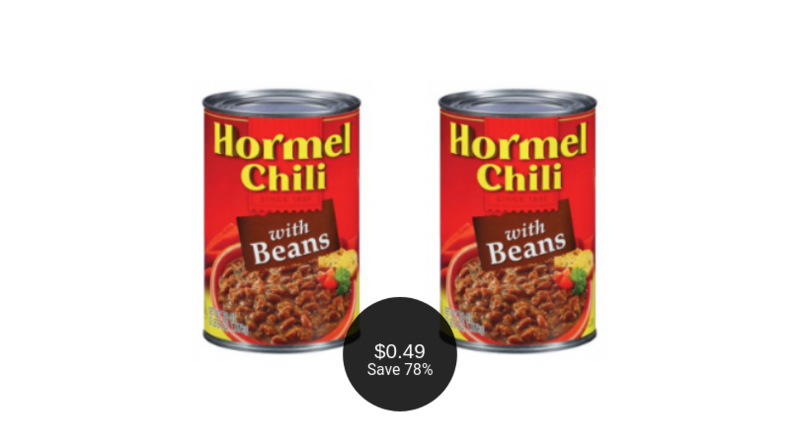 Final price = $0.49, save 78%!